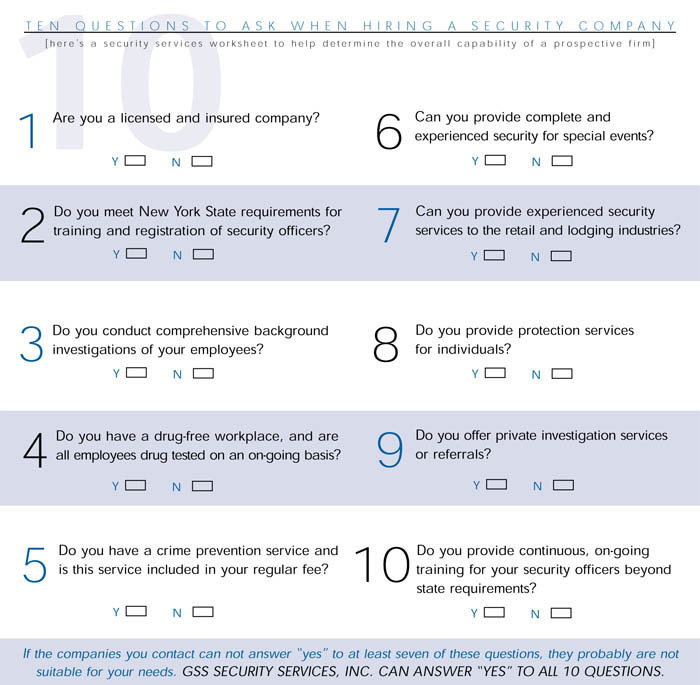 GSS Security Services - New York - Why GSS? The quest for a good security firm is serious business. While an Internet search will bring lots of results, a careful study will show that GSS is the best choice. From executive protection and security to special event security detail, we provide both armed and unarmed security services throughout the New York City area. First, we supply all aspects of watch and patrol services, including armed escorts, executive protection, security staffing at retail stores, guards at corporations and hotels, special event security, NYC permit acquisition services, and canine explosive detection teams. We can handle security concerns that range from the mundane to the extremely complicated. We’re known for meticulous attention to detail and thorough pre-planning. We leave nothing to chance and we spend hours in the office just thinking of things that could occur and what our responses will be. Nothing that happens at any business will be a surprise to us, and we’ll be ready for all situations. Unlike other so-called security firms, we’re licensed, bonded and insured, and we have the necessary papers to prove it. The combined experience of our employees adds up to hundreds of years. Our experienced staff will create security programs tailored to a specific site and its individual requirements. We work 24/7 and understand that security in the post 9/11 era is a whole new ball game. Other security companies may claim to have highly qualified personnel, but have they been background checked? Have they been subjected to regular drug tests? Do they have to undergo rigorous physical exams? Has their experience been verified? Our clients can be assured that our staff meets all of the above criteria. Everyone at GSS is dedicated to quality service, professionalism, the use of state-of-the-art technology, and, most of all, total client satisfaction. If you need executive protection and security, armed or unarmed, we are your “go to” choice. 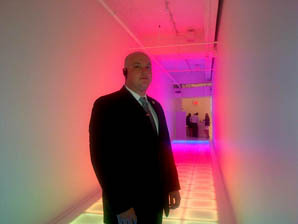 New York While other so-called top security companies can only promise, GSS Security can deliver. Don’t trust security needs to an unknown. Call GSS at 212-764-5400 today for a free security consultation. Meet the stringent New York State requirements for training and registration of security officers. Conduct comprehensive background investigations of all employees. Drug-free workplace; all employees are drug tested on an on-going basis. Crime prevention service included in our regular fee. Provide complete and experienced security for special events. Provide quality protection services for individuals. Offer private investigation services and/or referrals. Provide continuous, on-going training for our security officers well beyond state requirements. First choice of many hospitality companies.